“Space Shanty” is a one-off album by a foursome of pedigreed Canterbury musos, and it’s considered a love-it or hate-it classic by proggies. Some love its loose, jazzy jams, and others hate its hippie lyrics and flowery arrangements. But what’s notable is that “Space Shanty” is a distillation of the many styles of the Canterbury musos — the cosmic-hippy humor, the fascinating and busy arrangements — but it remains completely fresh and exciting. As is typical of the Canterbury bands, each member was also a member of a number of other bands. Keyboardist Dave Stewart played with Arzachel, Egg, Gong, Hatfield and the North, and National Health, to name a few. Guitarist Steve Hillage went on to play and record a number of notable albums with Kevin Ayers, Gong, and as a solo artist. Basist Nick Greenwood had done time with the Crazy World of Arthur Brown. After a few false starts and some rotating membership, Khan came together in 1971, and finished this album in March, 1972 with Neil Slaven producing. Dave Stewart even took time off from his band Egg to sit in on the “Space Shanty” sessions. Khan did its share of live shows, supporting such acts as Van Der Graaf Generator and Genesis. 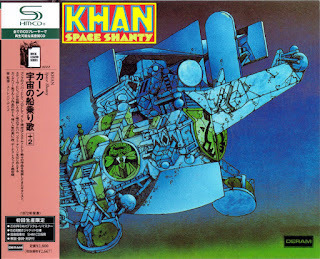 Khan continued playing live after “Space Shanty” was finished, but its membership continued to change. Only Hillage remained the original member. After some live dates the money dried up and Khan dissolved. Hillage joined Kevin Ayers on the road four days later and played on the “Banamour” album and later joined Daevid Allen’s Gong. The music has a real sense of scale and joy, and the guys are clearly enjoying themselves and their instruments. The recording is warm and straightforward with panning and flanging done to good effect. The Canterbury crowd were quite innovative, particularly with combining effects pedals with keyboards, so by this time weren’t relying too much on studio trickery and tape manipulation. “Mixed Up Man Of The Mountains” starts with a fairly straightforward rock beat played at a stride. “Looking at the ground, I’m crying for the sky. I know I can’t hope to go where I can’t be found. But when I close my eyes I start to fly.” And fly they do — just listen and wait for them to break into some of the best Canterbury prog jamming you’ll ever hear. “Driving to Amsterdam” features some particularly fiery keyboard work by Dave Stewart and his prepared keyboards. The album has been issued quite a few times, starting with the original Brain and Pink Elephant vinyl pressings in 1972, and a vinyl reissue in America in 1978 on PVC records. 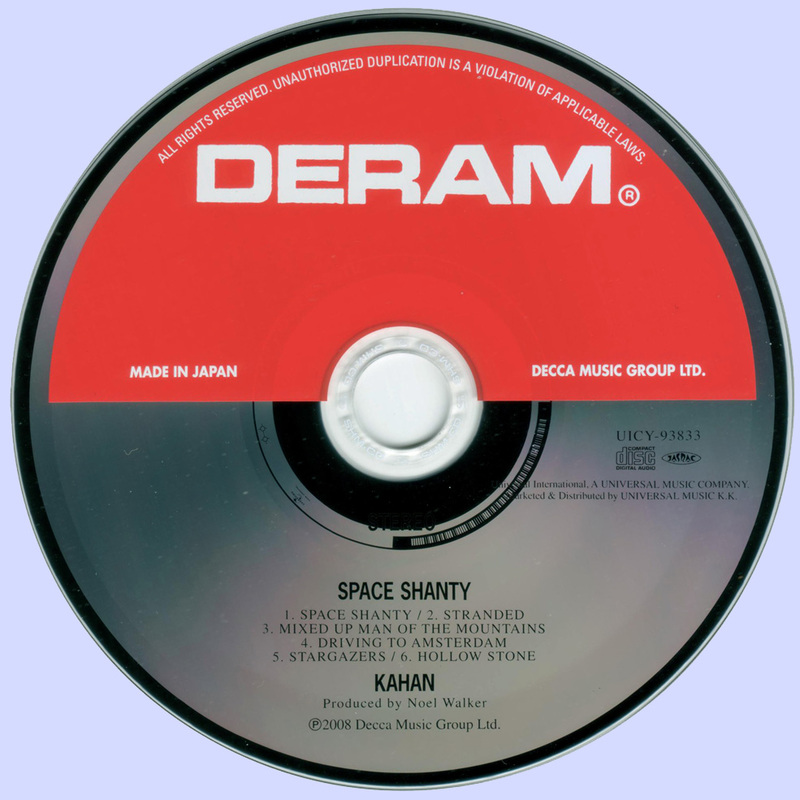 There have been CD pressings by Mantra, Deram, Polydor (a Japanese mini-LP style reissue). The vinyl has also recently been reissued by Tapestry records. The CD to get is the new remastered expanded edition by Eclectic Discs (ECLCD 1016), which features great, tight sound from the original master tapes, excellent liner notes, and two previously unreleased cuts.